An ongoing debate in the world of curls is whether it’s better to have crunchy curly hair or not. Some naturally textured people prefer their coils to be soft to the touch. Others want a balance between crunchy and soft. Ultimately it’s a personal choice. All curls are not created the same. There’s no right or wrong way to wear them. Go with what works for you, your hair type, texture, condition and length. 1.It may give curls and texture the appearance of being longer. 2. 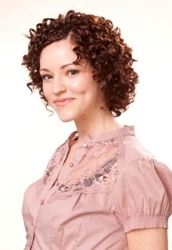 Crunchy curly hair looks well defined and full of body, especially on fine or thin tresses. 3. Going from crunchy to soft is considered easier than soft to crunchy. 4. Crunchy curly hair can be scrunched out. Popular scrunch out the crunch (SOTC) turns curls into springy bouncy lightweight curls. 5. When texture is worn crunchy it provides an edgy retro textured look which is unique. 6. 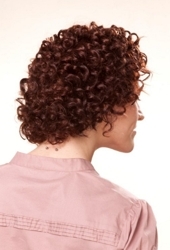 Crunchy curly hair has a unique look and feel which is completely individualistic. 7. Tightly textured hair often retains a higher shine than softer curls which many not reflect light as easily. 8. When curls are drying, gels help set curls while keeping frizz at a minimum. May be humidity resistant. 9. 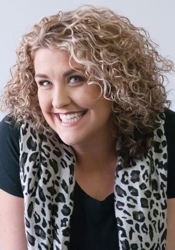 Crunchy curly hair is less likely to pouf or puff out. It’s more secure when crunchy. 10.Naturally textured hair which is fine/thin or tends to lay too flat at the crown may benefit from crunchy definition. 11. It’s perfect if you love big or really hair styles. 12. Crunchy curly hair often has the appearance of being wet. The wet hair look is a hot trend. 13. When people touch crunchy curly hair it has minimal impact on the curl pattern. 14. Crunchy curly hair has great staying power. An array of products are designed specifically to inject the crunch into curls. Not all products work the same for all types of texture. 2.Tresemme Moisturizing Conditioner leaves curls defined, lightly moisturized and infused with body. One downside to scrunching out the crunch (SOTC) is breakage when extremely hard hold gels or freeze styling products are use. Overuse of hard gels or freeze sprays may cause hair breakage over time. Other hair products are used to scrunch out the crunch, which involves gently squeezing texture to break up the gel casting to create soft ringlets and/or coils. Textured tresses which start out as crunchy hair transition to well-defined, soft touchable curls. Scrunching out the crunch is a popular technique utilized in the textured hair world. It can be done in just a few minutes. Once textured strands are dry, scrunch out the crunch, shake tresses and watch contained curls spring up. Scrunching out the crunch may or may not be compatible with Curly Girl/No-Poo/No-Silicone popular care methods. Customized curly hair products may be considered expensive compared to regular products. If you wish to buy special products for textured hair always check Amazon for the very best prices and deals on popular products. Whether you love to wear your naturally textured tresses soft or as crunchy curly hair, the choice is yours. Embrace your tresses and wear them they way you love. This entry was posted on Thursday, September 18th, 2014 at 9:16 pm	and is filed under Hair. You can follow any responses to this entry through the RSS 2.0 feed. Both comments and pings are currently closed.